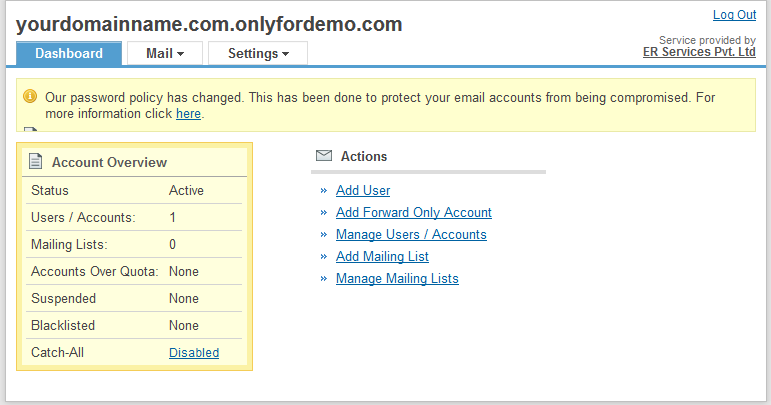 Login to the Dashboard of the email control panel of the domain name. Click on the link Manage Users / Accounts. Click on the User Name or the Edit link of the user you want to reset the password. In the following window, click on the link Reset Password. In the following blob, click on Reset Password button again. The password will be reset for that user. The confirmation message and the new password will be shown in that blob.An email would also be sent to your alternate email address informing that your password has been reset. 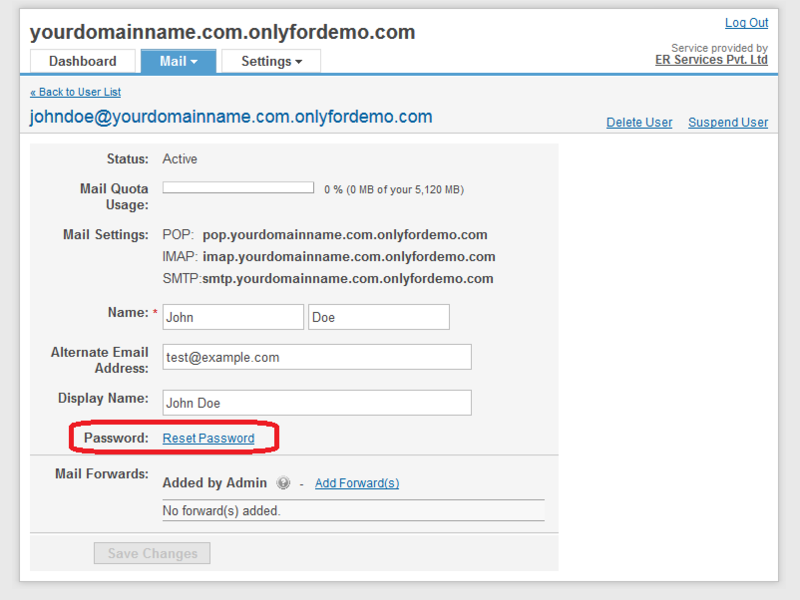 You can now access your email account using the new password.